My daughter recently turned 2 and we had a few people over and decided to have a Minnie Mouse Theme Birthday. I made these adorable Minnie Mouse ears which were a hit. 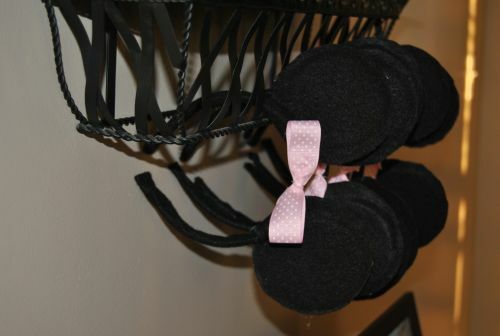 Check out this blog with details on how to make your own Minnie Mouse and Mickey Mouse ears. 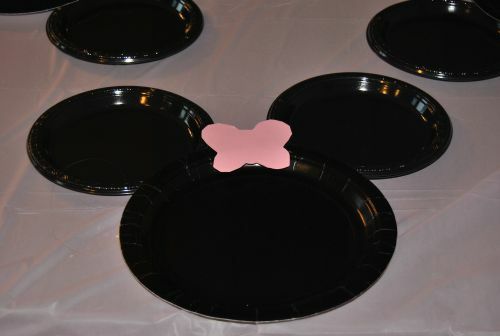 I also made these super cute Minnie Mouse place settings. I took 2 different size black plates simply hot glued them together and added a bow. I used a butterfly cookie cutter as a template for the bows. 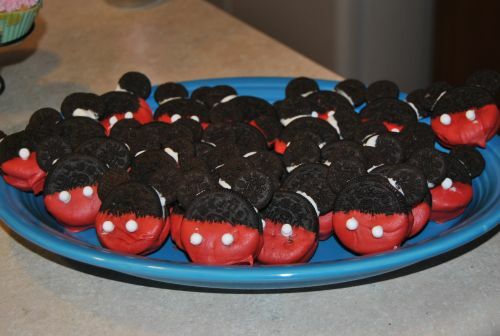 Another hit was the Mickey Mouse Oreo cookies. I also found these from a blog which you can check out here with details on how to make your own. This entry was posted in Disney On A Budget and tagged 2013 Disney Budet, disney land budget, Disney On A Budget, disney tips to save money, disney world budget, Mickey Mouse Birthday Ideas, Minnie Mouse, Minnie Mouse Birthday, Minnie Mouse Birthday Ideas, save money at disney, save money at disney world. Bookmark the permalink.